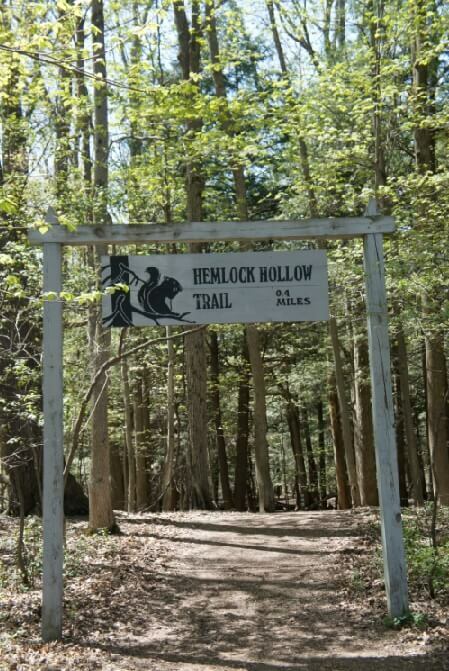 Over 9 miles of maintained walking trails across gentle and varied terrain invite you to restore your connection to the earth. 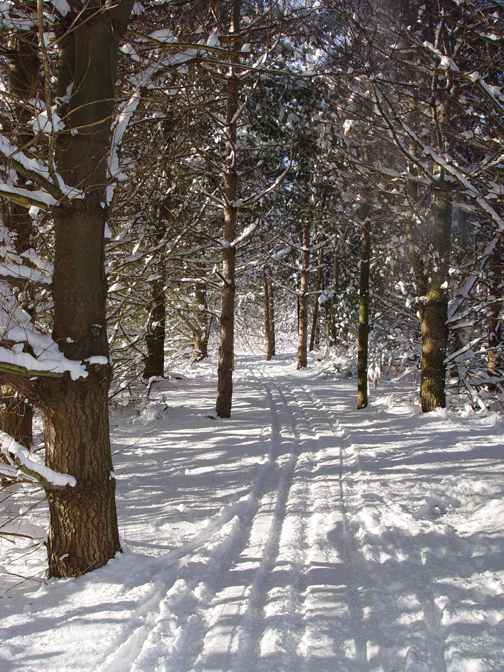 Beaver Lake’s 600 natural acres are the perfect setting for family fun or solitary renewal. Stop at the Vistor Center and be greeted by a friendly face at the information desk. Exhibits, light refreshments and a gift shop are also there for you. Lakeview Trail – 0.3 miles The expressway to the Beaver Lake shore. 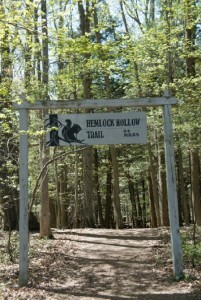 Hemlock Hollow – 0.4 miles The name itself suggests what you will find – a cool and shaded hide-away. Pine Meadow – 0.5 miles An isolated meadow shielded by pines on one side and a mixed forest on the other makes a storybook setting for rabbits, woodchucks and deer. 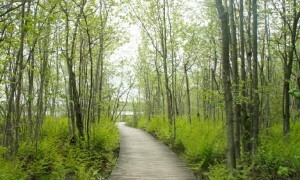 Bog – 0.6 miles Our elevated boardwalk is your invitation to visit a habitat different from any other you may have expereinced. Yellow warblers declare ownership from the tops of spindly alders, while insect-eating pitcher plants and lady’s slipper orchids grace the soggy floor. 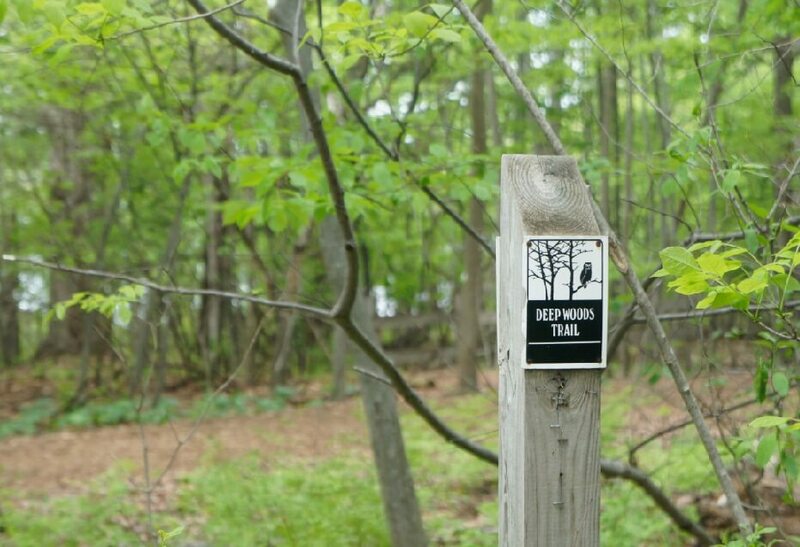 Woodland – 1.1 miles This trail intersects both the Deep Woods and the Lake Loop Trails, providing an opportunity to vary the route as the mood strikes you. 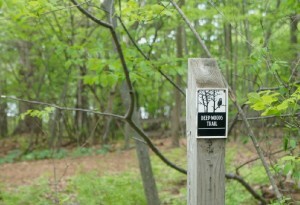 Deep Woods – 1.4 miles This trail affords hikers a long and meandering walk through the serenity of a maturing forest. Three Meadows – 1.5 miles Daisies dancing on warm breezes will put extra spring in your step as you cross sunny fields before enjoying the cool respite of the forest. 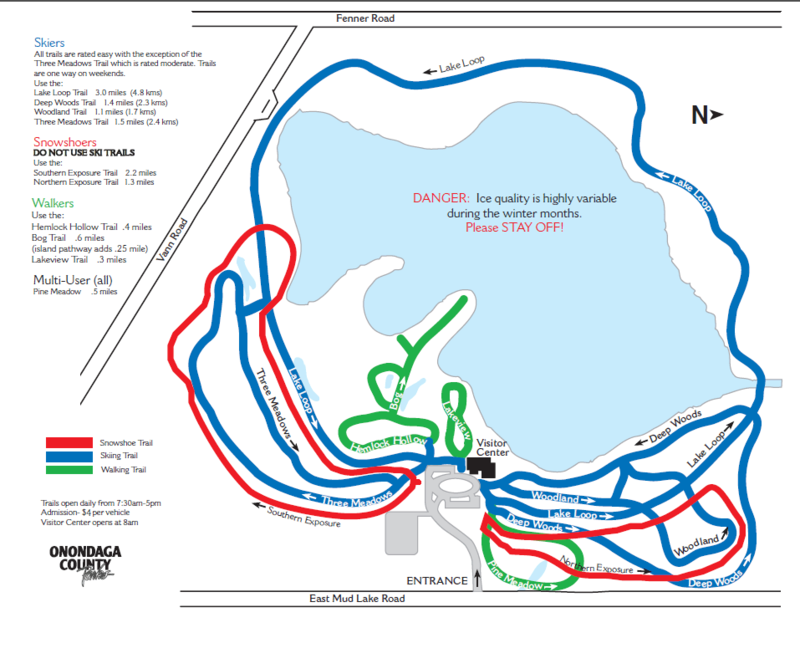 Lake Loop – 3.0 miles Nearly 3/4 of a mile of boardwalk lets you immerse yourself in a variety of wetlands, yet still keep your feet dry. 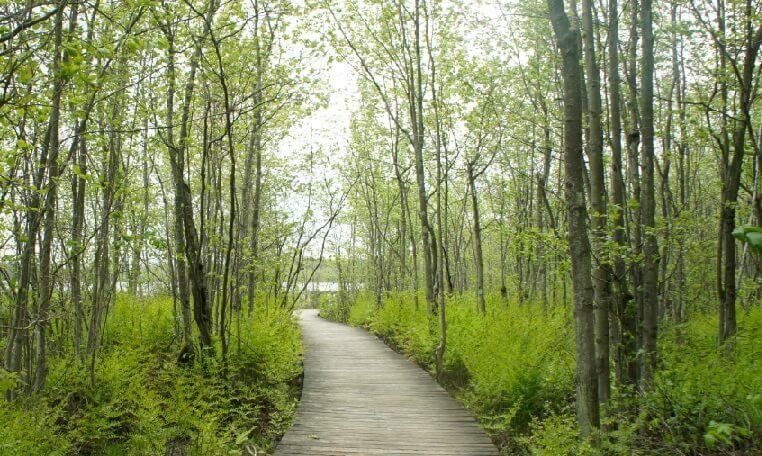 Arboretum Trail – 0.3 miles An asthectically refreshing place for a walk, and with the habitat it offers, a perfect place to view wildlife. 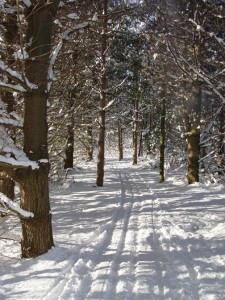 During the winter, our trails are designated for specific activities.